Today I stumbled upon a post on free website builders and felt a need to have my own list of free website builders. You may ask why free website builders? The answer is link building. The more domains you can get hold of the better link building will be. I’m always in search of new and free websites/blogs for link building. I haven’t used any such free website builders since ages. Most of them are now evolved and offer plenty of rich features allowing your life to be easier. The first free website which I built was way back in 1999 when I started my first job. This was on Tripod. Tripod was primitive, messy and sluggish. I ended up learning HTML/CSS while building my free tripod website which finally became my main job. There is no such thing as free lunch. The free webstie builder is free to build but you don’t get a real website. In most cases you will get a subdomain or /yourname directory structure page. And in most cases you will have to bear with the free ads which will be shown on your website. Well that is not all. There is another catch which you might ignore if you are not into SEO. These free builder websites get your valuable and FREE content on their domain, they run ads and earn money all at the cost of your valuable content. The biggest drawback of free websites is that they can wind up any time and you will loose all your content. Snap pages is a nice web site builder which provides drag n drop interface. It is very easy to use and probably you wouldn’t need to add any html code at all. It doesn’t allow html editing which is not good for pros like me. However SnapPages is a great website builder, I love it’s approach in providing various options. Drag n Drop feature is just awesome. Free version is limited to 5 pages maximum and limited features. With premium option you can get more pages and all features. The best website builder tool which I’ve encountered so far. Webnode is easy to start and has good choice of templates. Links are dofollow links and it’s WYSIWYG editor is nice. It offers various templates which makes it easier to create pages easily. Overall it is one of the best free website builder where you can create your own free websites without any knowledge of html. My personal website on webnode. You can also submit your website to their directory. If you like it then you can also upgrade to Premium Package which will give you more features. Can’t rename the page titles – You can’t rename existing pages which created while setting up the website. You will have to delete this page and create new. 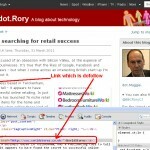 I can’t find how to edit meta tags even though the tag is visible in the source code. Metatags can’t be added to blog articles, and links or any other content type which is not a page. I’m sure I’ve used it but may be didn’t visit it since long time. Right now it is down so I’ll check it out later. Ok it is up today on 3rd May 2011 so I tried it. It seems to be quite impressive. Within few seconds I was ready to create my own personal page on Weebly. It’s interface is simple and clear. 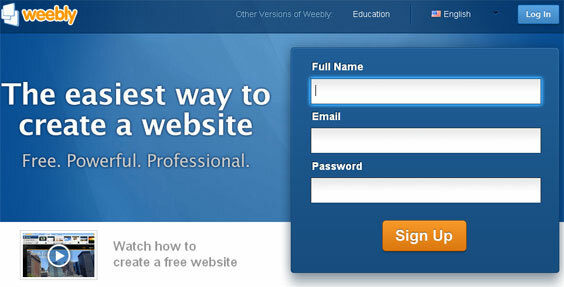 Weebly is a drag and drop web design builder. You inply drag the element which you want to add and edit it. Guess what there are no advertisement on the website. It also lets you add Google Adsense on your website and they pay you 50% of revenue generated from your website. My personal site on Weebly. It is down frequently or it was just one off temporary down time? Whenever you publish it prompts with a popup window asking you to register a domain. I find it annoying. I’m not sure how to get rid of it? Webs – Creating a website is very simple, and they offer plenty of templates to choose from. You also get a subdomain as your home page. It also has many more features. Links are dofollow so good for SEO link building. I can see meta tags being displayed in the source but there is no option to edit Meta tags. Webs is not recommended for any serious website, however it is good for your link building efforts. Spruz is a social platform which lets you create your own social community. It is free for up to 50 members community. 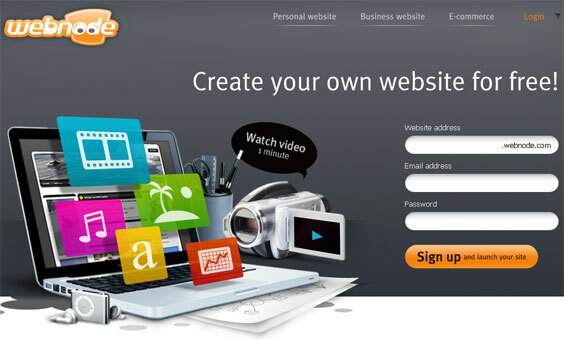 This is another free website builder site. It is not too good, it lacks features and nice templates. It is pretty plain and simple. Roxer is very unusual site builder and unique too. all you need to do is to click, drag and drop. It doesn’t have the standard editing tools. Can be fun though. It doesn’t add any advertisement. 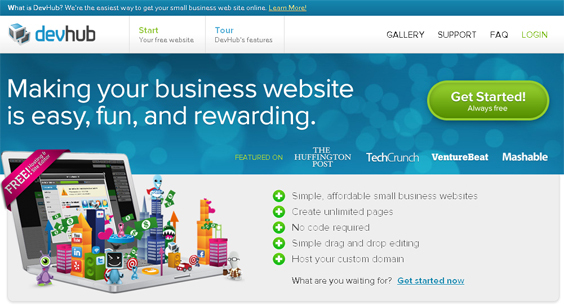 Devhub offers a smooth setting of a new site or blog for novice users. However once you start editing the content then it’s shortcomings are exposed. First of all it is little bit slow. Next problem is that the editing tool is in Japanese. I just created a blog on DevHub. I discovered this strange named free website builder by accident. Simple and within a minute you will be all set to go. It uses WordPress engine. Another quick and easy way to create a simple web page. When I wrote review it was free then they changed it to be paid and suspended the freely created web sites. Sounds like fraud, stay away. Nice compilation of free website builders. I never knew some of them. They will come handy for link building.